Waitry is a Full service management platform designed to break down language barriers, as well as the spaces between the restaurant and the customer. Its founder and CEO, Alejandro Etchegoyen, He is passionate about technology. From a young age he developed various software solutions for all industries, always looking for innovation and disruptiveness. Waitry founding has wanted to revolutionize the way in which people order, interacts and pay at all kinds of eating establishments, hotel and entertainment, applying technology to improve the dining experience Customer. Waitry he born in Argentina, and it was launched in Spain, and it is also in use in France and the UK. 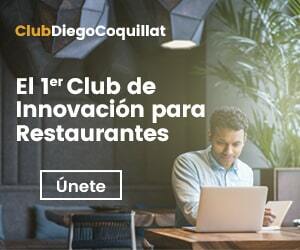 Etchegoyen explained the benefits of this solution in the #TeatroDigital who led @diegocoquillat in #ExpoHip 2018. There he explained that Waitry allows marketing push and improve sales by segmenting tastes and interests. further, enhances customer interactions, restaurants and social media. You use Waitry makes eating out it becomes a simple fact. “Waitry -afirma Etchegoyen- It brings benefits to both users and establishments. Increases the frequency of rotation orders or tables up 20% and the value of the account up 70%”. QUESTION: For those who do not know or have not heard of this solution, What it is and what is Waitry? ANSWER: It is based on mobile applications that improve the experience, reduce waiting times and facilitate payments in all kinds of restaurants and hotels, even stadiums. this solution based on Internet Of Things It is ready to be customized and implemented immediately, regardless of the size of the establishment, no initial investment. It can be customized with your brand and configured as to form and care preferences. 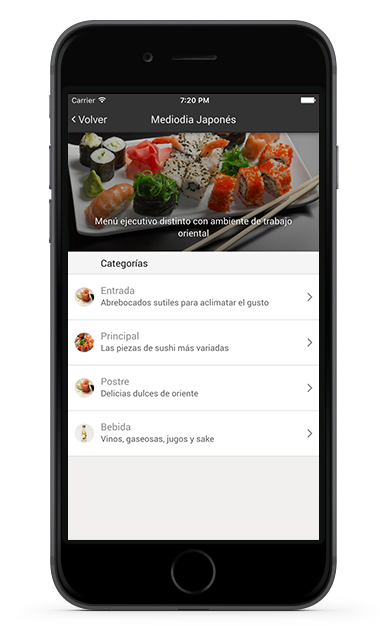 Allows the user access the menu with pictures and in their own language, and also ordering and paying from Mobile. In this way, It is reducing waiting time and improving communication inside the restaurant. It adapts the operation and look and feel of each place at check in. P: In general terms what other benefits offered? R: Is a Full service management platform. Offers demographic and consumer habits of the users; offers tools to better understand and treat customers. waits are avoided, rows and errors. It allows you to take away y delivery. P: How is the order done through Waitry? Access is via the Connect Waitry scanning a QR Captcha code. order by choosing the digital menu that features photographs and descriptions in your language is ordered, also access exclusive offers and promotions. And ready! You can interact with staff, pay and discuss the experience. In hotels you can order room service, or if you're on a show to buy a snack or merchandising. P: What else offers this management platform? R: Establishments also helps in customer loyalty and attracting new, and accurate statistics. It allows Promotions targeted marketing and better management and control. We can prevent behavior, personalize, to size, trakear the consumer at the restaurant with Waitry Mobile app, Waitry Handy y WaitryBackend App. P: How does it work in restaurants? R: As the diner feel to your table, You have access to the full menu, in your language and available for that day and time. Y three steps you can send to the bar or kitchen your order. Waitry identifies the person and uniquely table, allowing call the waiter or request features push of a button. P: And in fast food? R: In these locations using Waitry allows the row jump commensal, as calls from your mobile, You pay and is notified with push notifications Once your order is ready to be removed. With Waitry can be handle more orders in the times of day with increased demand. P: What impact this application to manage a restaurant or gastronomic shop? R: For example, order to save steps, the staff will be more doomed to improve care instead of registering orders usually arrive with mistakes and setbacks and generate dissatisfaction. Waitry also has a complete system you command; You have the ability to integrate into existing systems providing a user experience intuitive and simple implementation. P: How easy service in hotels and what benefit provides? R: Waitry technology improves and simplifies the stay of guests in hotels. In addition to being implemented in domestic restaurants, It is the perfect assistant because it works to order room service and amenities. He guest room is identified by Waitry Connect and has at its disposal all the letter requesting room service. You may also request extra towels, change of sheets, a more comfortable pillow and any item directly without having to call the front desk and wait for you to attend. You can also book turn at the spa, request a taxi or ask a service in any hotel sector, either in the pool, fitness center, the spa lobby. The request goes straight to the sector or person responsible for providing that service, and everything is recorded and personalized, saving time to provide better care and stay. P: You also commented that Waitry can be used up in stadiums. How does Waitry events? R: The viewer no longer have to miss part of the show or wait for a halftime interval or go buy a snack or merchandising. Neither long queues. From the chair or sectors enabled you can check in with Waitry, order food or merchandising, pay from the mobile and the order was carried without interruption. In events where there foodtrucks or more outlets, Waitry is the Ideal tool to avoid the use of cash inside the premises and improve control of the sale organizer. P: Give three reasons why an establishment sector Horeca should have Waitry. R: Knowing your customers better, reduce costs and increase revenue.